*High quality printed canvas stretched and stapled to durable shrink resistant frames. * Canvas stretched on kiln dried solid wood frames. 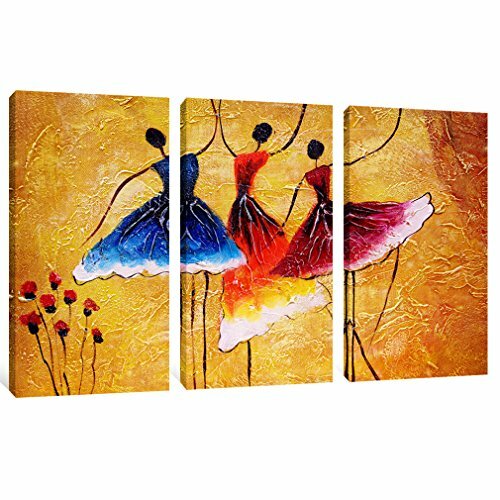 * Canvas wrapped around frame side to get perfect stereoeffect art work for home interior decor. * Each product is equipped with hooks and stainless nails，ready and easy to hang. * Each panel is put into a plastic bag and in one solid carton box for shipping securely. You can use them For Christmas, Anniversary, Wedding,thanksgiving, Mother's Day, Father's Day, Valentine, Birthday and other days,as a Houseware gift. Displayed pictures are only for illustration purposes. They were not taken in real display rooms and do not represent the real size of the canvas panels. We are a canvas print Manufacturer, with many years of experience in this field and featuring in converting your favorite photos into lasting art canvas paintings with super quality, especially print paintings. We have been pursuing your satisfied product quality and service with our best effort, Besides, Credibility matters most in our bilateral business cooperation, also we commit our honesty and professional in our painting service to every new and old customer, creating our mutual satisfaction and achievement. We provide lots of creative decorative paintings, Modern painting,Landscape painting, Abstract painting,Animal painting,Figure painting, Flower painting, Tree painting,Cartoon painting ,oil painting and so on. Size:16x32inchx3pcs(40cmx80cmx3pcs )Packing in carton box. This Artwork is printed on high quality canvas by high definition picture.Best price and quality guaranted is your best choice. Stretched and Framed canvas art printing for home wall decorations. Each panel has a black hook already mounted on the wooden bar for easy hanging out of box. A perfect wall decorations paintings for living room,bedroom,kitchen,office ,hotel, dining room,office ,bar ect.. If you have any questions about this product by AMCART, contact us by completing and submitting the form below. If you are looking for a specif part number, please include it with your message.